Mountain area residents and insurance companies are becoming increasingly aware of the threat of a devastating forest fire. Fire mitigation reduces the risk by creating defensible space around your home. • Many insurance companies are responding to the threat of loss due to wildfires by requesting that homeowners share in that risk by taking proper precautions to protect their property. • Some insurance companies are sending homeowner’s letters to notify them about what fire mitigation needs to be completed to remain insurable. These requirements will vary based on the insurance company and the individual property. • If you receive one of these letters, give Splintered Forest a call to discuss your mitigation options. We will work closely with your insurance agent to assure your property is mitigated properly. Defensible space is the area around a structure that has been modified to reduce the fire hazard. Creating this space gives your home a fighting chance against a wildfire and provides increased safety for firefighters working to protect it. Although creating a proper defensible space does not guarantee your home will survive a forest fire, it does significantly improve the odds. • The size/shape of the structure, construction materials used, slope of the ground, surrounding topography and the type of vegetation on your property are all factors to consider when creating a defensible space. • Zone 1: The area closest to the home or other structure. The width of this zone extends a minimum of 15-30 feet from the structure, depending on the size of your property. Ideally, you will want to remove all trees from this zone as well as branches overhanging the roof and debris. • Zone 2: This area is designed to weaken the intensity of a fire approaching your home. The width of this zone depends on the slope of the ground around the structure, but typically should extend at least 100 feet from the structure. In this zone you will want to remove dead or dying trees, large shrubs, and ladder fuels. • Zone 3: This is the area that extends beyond 100’ to the edge of your property. This zone provides an opportunity for you to improve the overall health of the forest through proper management and gives you a gradual transition from Zone 2. 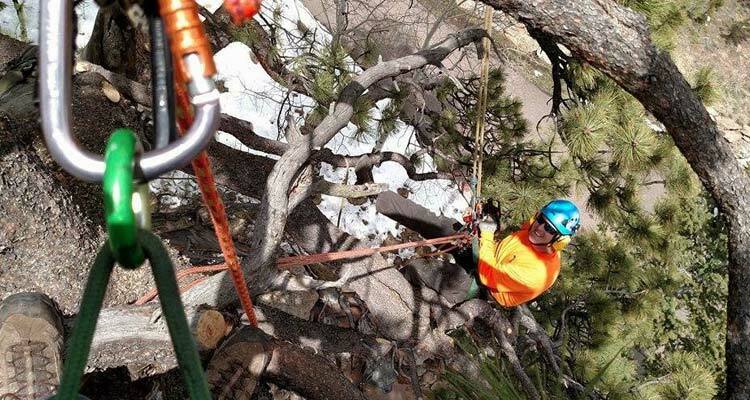 • Our ISA Certified Arborists will schedule a time to assess your project to provide their recommendations about your property - no obligations. • After discussing your concerns, we will compose a plan for your fire mitigation project and provide you with a written estimate for the work. • Our goal is not to come in and clear cut, but rather to work with the natural aesthetics of the property and provide you with beautiful results. • We utilize selective thinning practices when completing a fire mitigation project. We first select the dead, diseased and dying trees for removal. 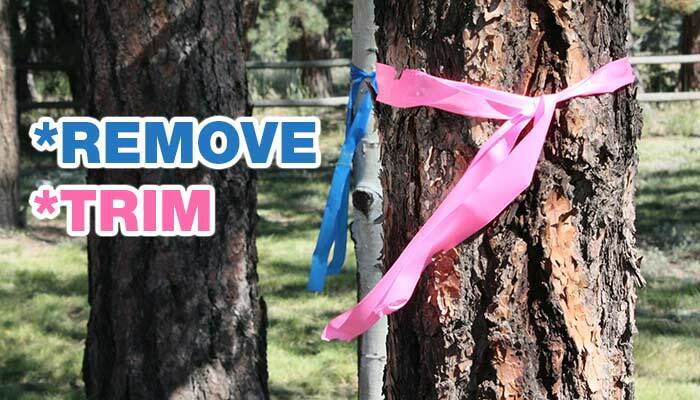 It is only then that we begin selecting healthier trees that are in need of removal. 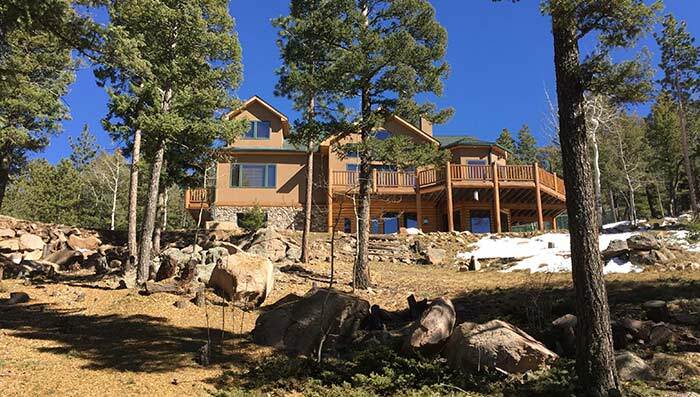 Splintered Forest Tree Services is a full-service fire mitigation and tree removal company that began in Evergreen, Colorado in 2004. The crew works to protect homes by completing fire mitigation and creating a defensible space around your home. Fire mitigation helps to reduce risk, create a defensible space (an area around a structure that has been modified to reduce the fire hazard) for firefighters working on the front lines of a wildfire, improve the overall health of the forest, increase the curb appeal of your home and help you comply with your insurance company’s requirements. Splintered Forest utilizes the Colorado State Forest Service guidelines when creating a defensible space plan and mitigating a property including Zone 1 (the area closest to your home which normally extends 15-30 feet from the structure), Zone 2 (the area that typically extends to at least 100 feet from the structure and is designed to weaken the intensity of an approaching wildfire) and Zone 3 (the area that goes from Zone 2 to the edge of your property and gives you a gradual transition from the previous zone). 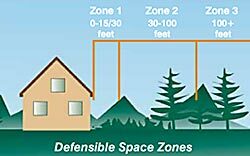 In addition to the zones, there are many factors that the crew must take into account to create an effective defensible space including materials used when building a structure, topography, vegetation and slope. Splintered Forest’s ISA Certified Arborist is available to answer questions and provide free estimates for your upcoming fire mitigation or tree removal project.